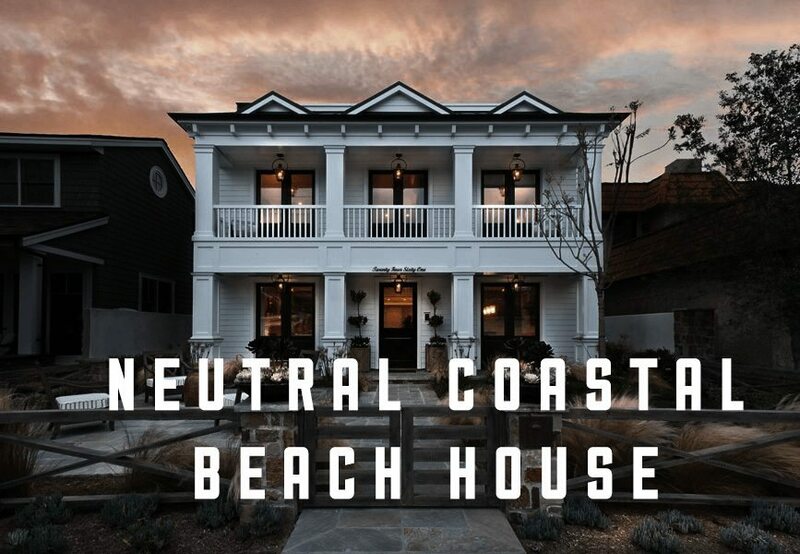 If you are thinking of packing up and moving to the beach and need some inspiration, then check out this coastal home. This stunning house is sure to give you some ideas which you can then use to build or decorate your own beach paradise getaway. Whilst browsing Pinterest for some stunning beach houses, we came across this article from HomeBunch, which we just knew we had to share with our readers. This beautiful house features “neutral” interiors, which are an absolute delight to look at and really suits the house. The houses decor is much more unique than what you would typically expect from a coastal dwelling, which is something that we absolutely love. The house is built on a rectangular lot, and features a gorgeous outdoor setting as well as roof top terrace, which is perfect for admiring the beautiful coastal views. 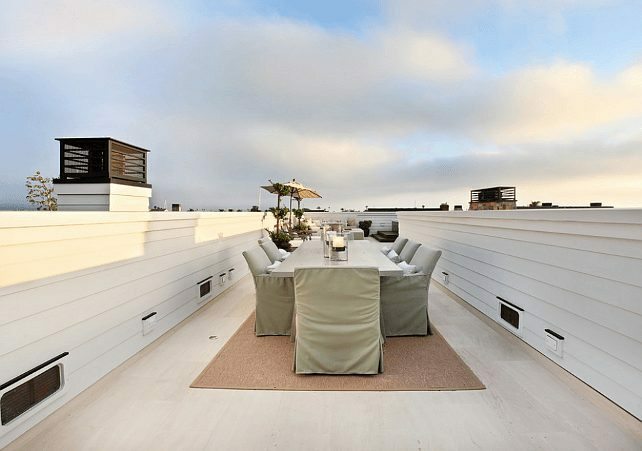 I think a good place to start is the best part of the house – the rooftop terrace. I mean look at this place. 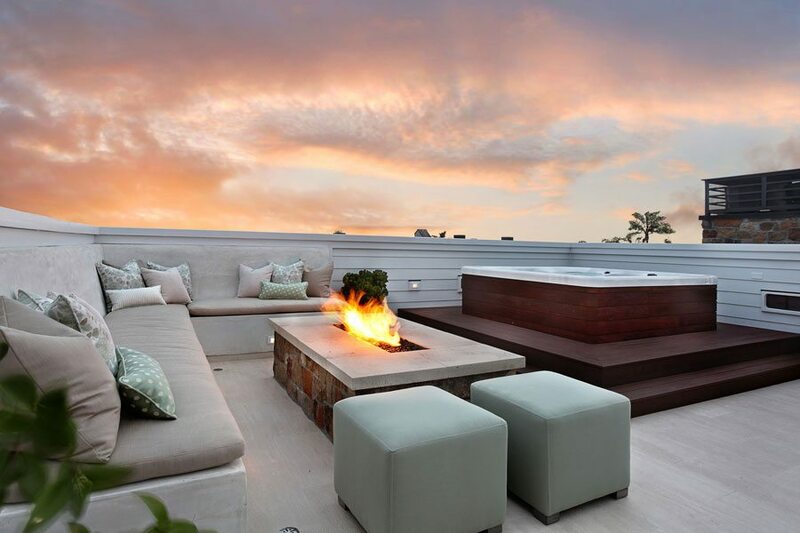 Can you imagine a more relaxing spot to spend your nights? 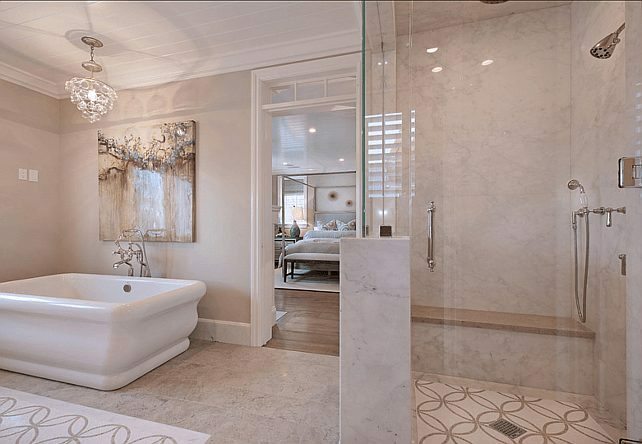 Each bathroom in this house is absolutely spectacular (there are quite a few). This ensuite is no exception. Look at the beautiful floors and walls, as well as the complimentary wall decor. It really does blow your mind. Another angle. I’m in love with the use of wood in this bathroom – it looks absolutely fantastic. The gorgeous dining room. I will have to agree with HomeBunch on this one and say how much I love how “every item relates to each other.” My favorite peice of furniture in this room would have to be the cabinet though. This house was built for relaxing and wine is definitely going to help that happen. This house has a stunning dedicated wine room that i’m sure will make even the wealthiest jealous. A more “coastal” living room. This is something we typically see more in coastal beach houses. Looks great! Another shot of the terrace. I had to end on this again just because how much I am in love with it. This house is close to being my dream house with the amount of work and detail that has been put into it. It truly is remarkable.